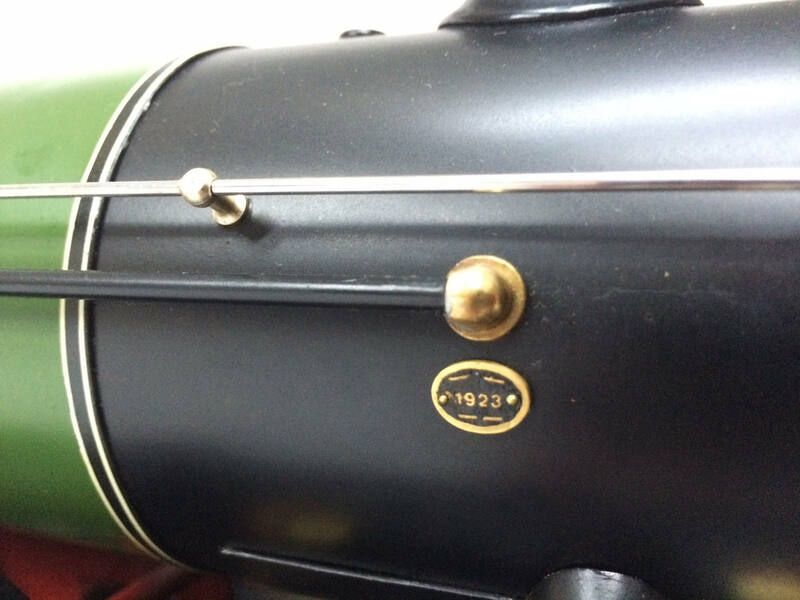 Available again,…. 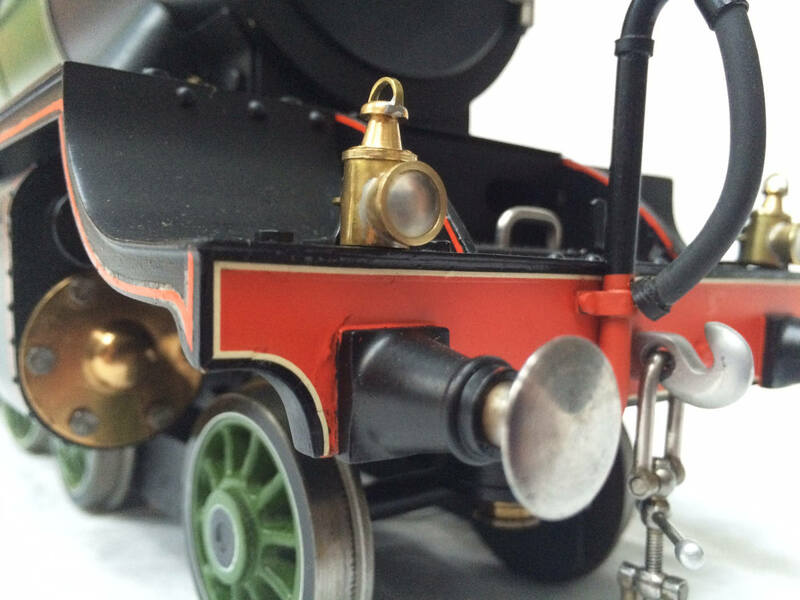 (really must stop listing things as sold before the money actually comes in!!) 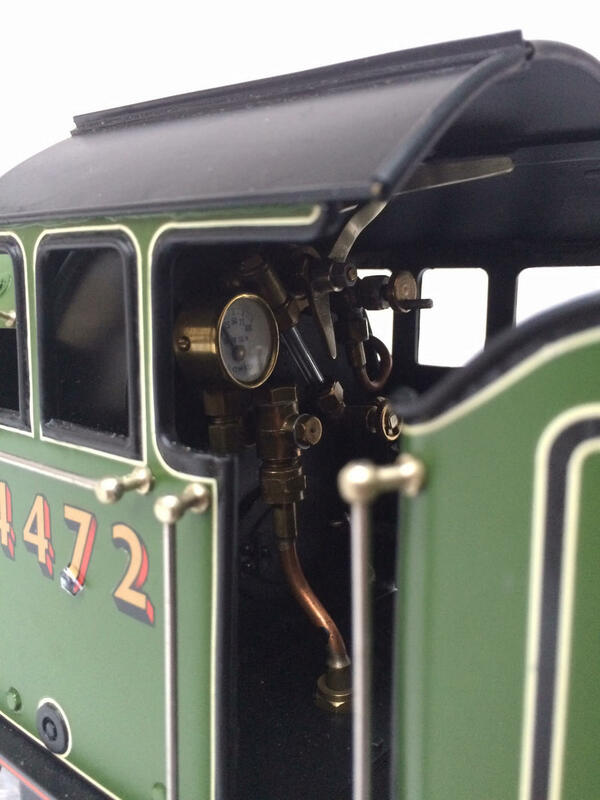 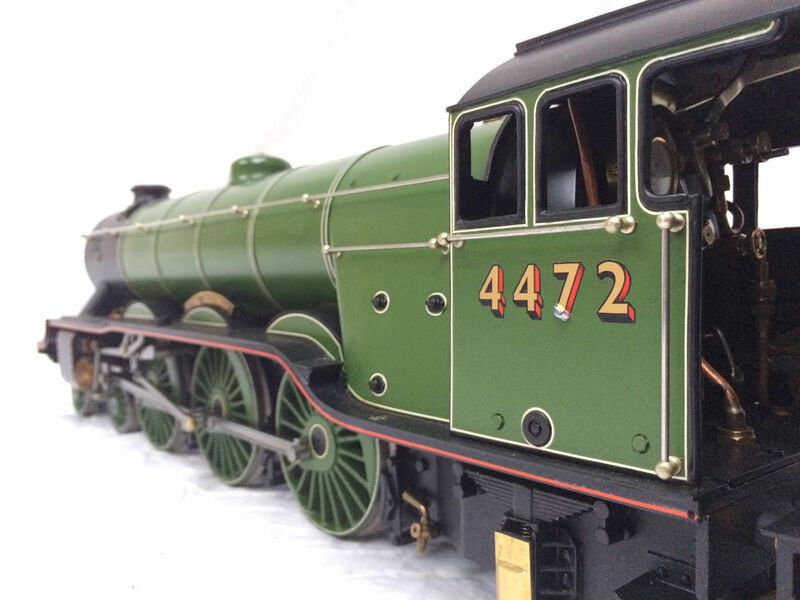 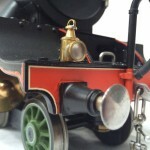 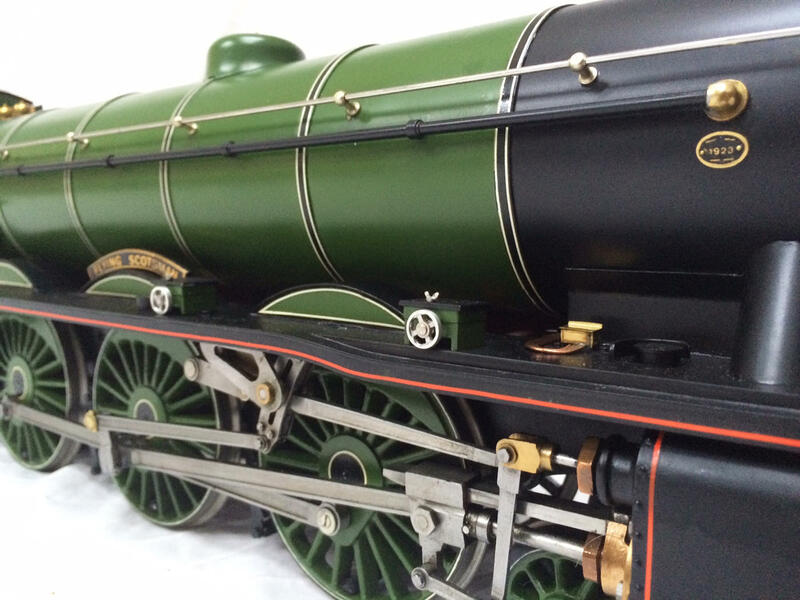 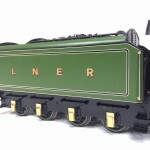 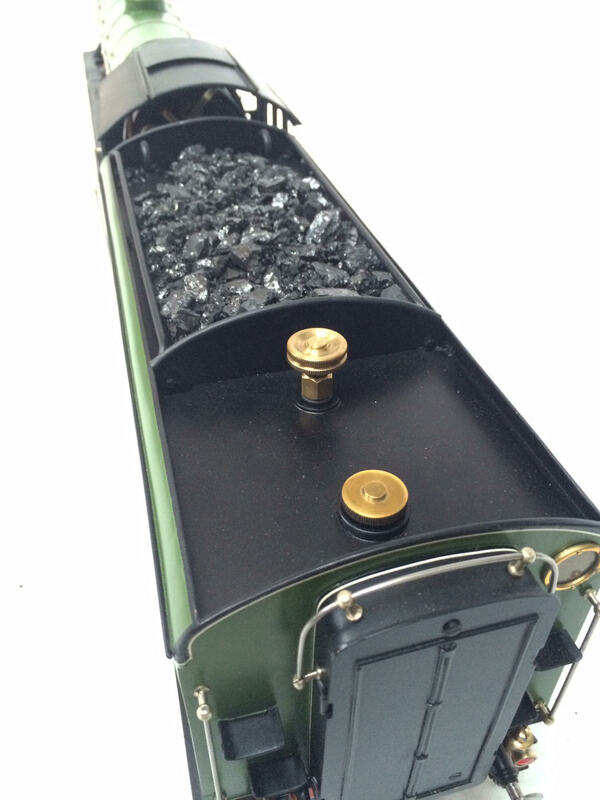 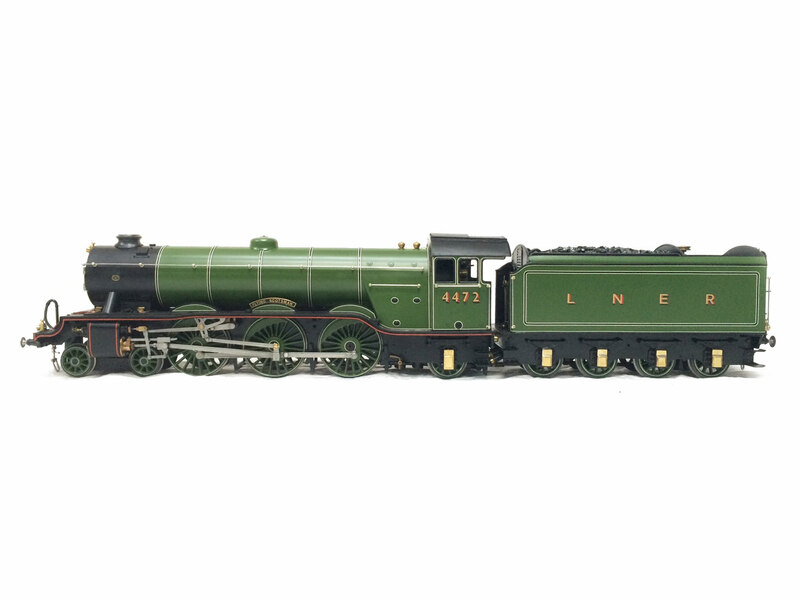 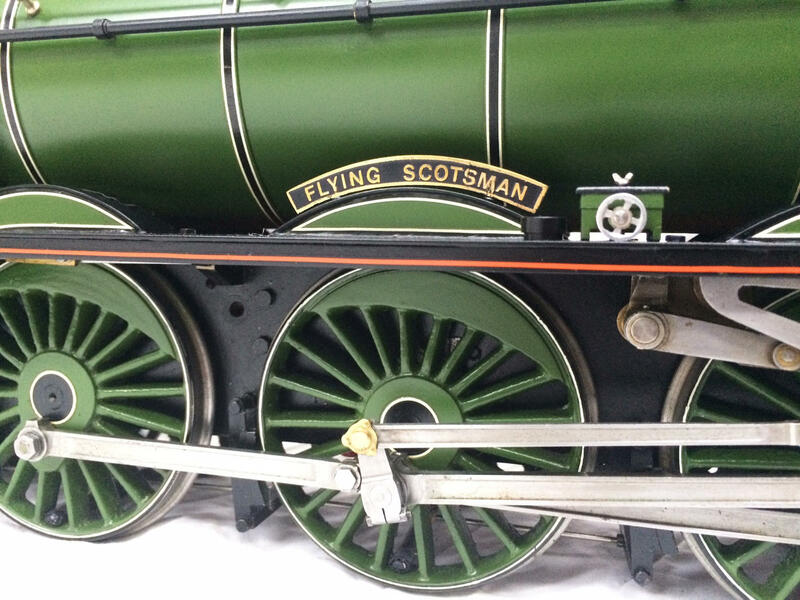 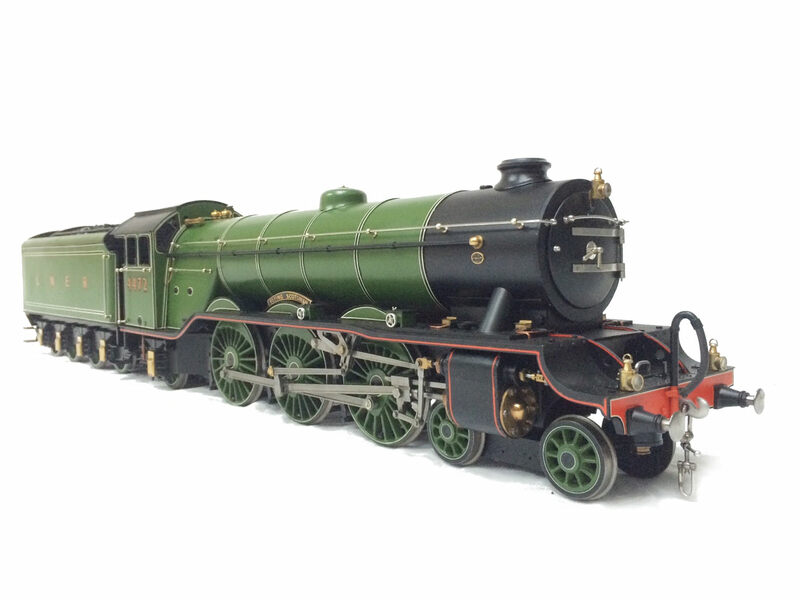 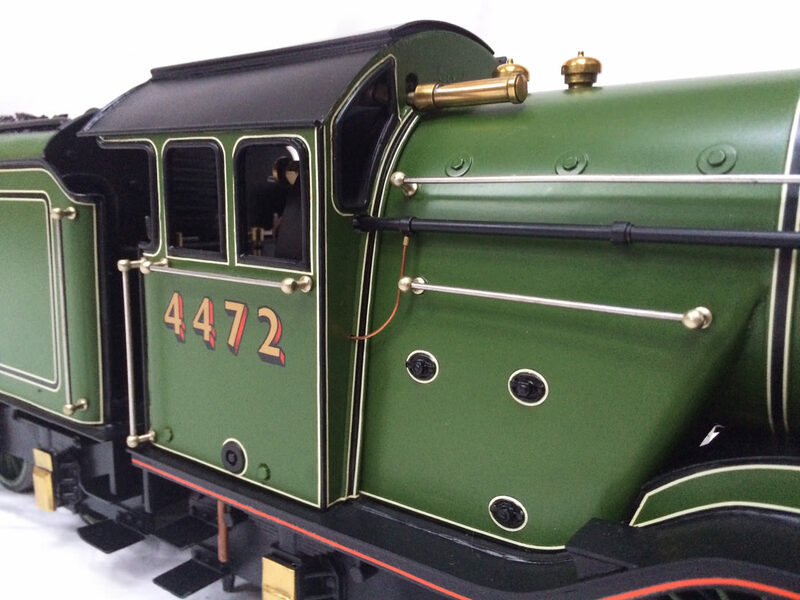 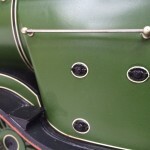 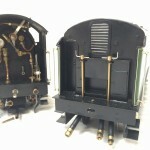 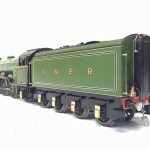 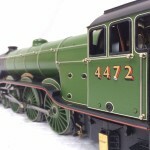 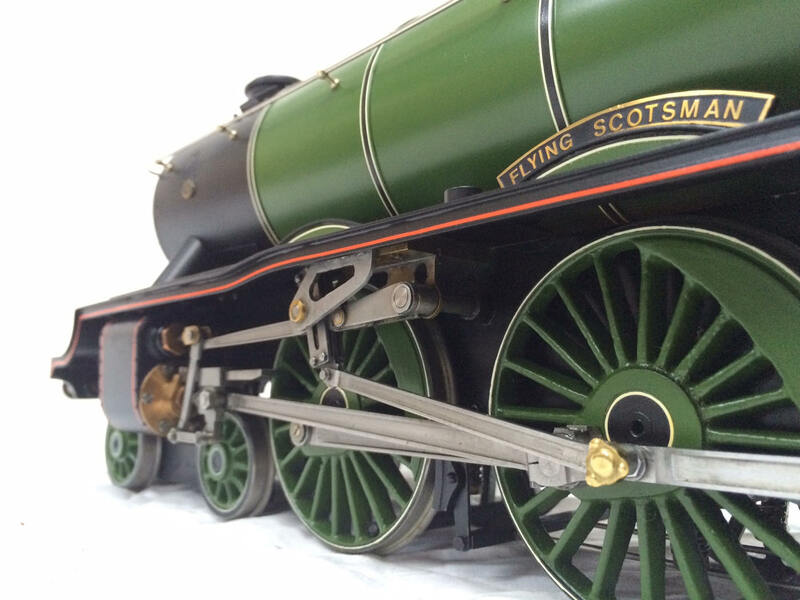 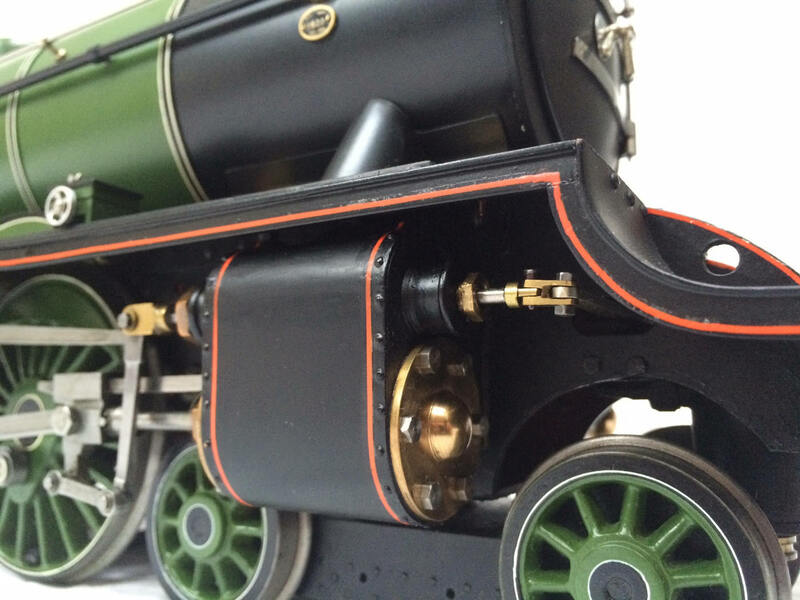 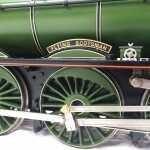 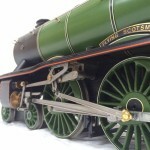 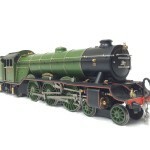 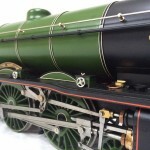 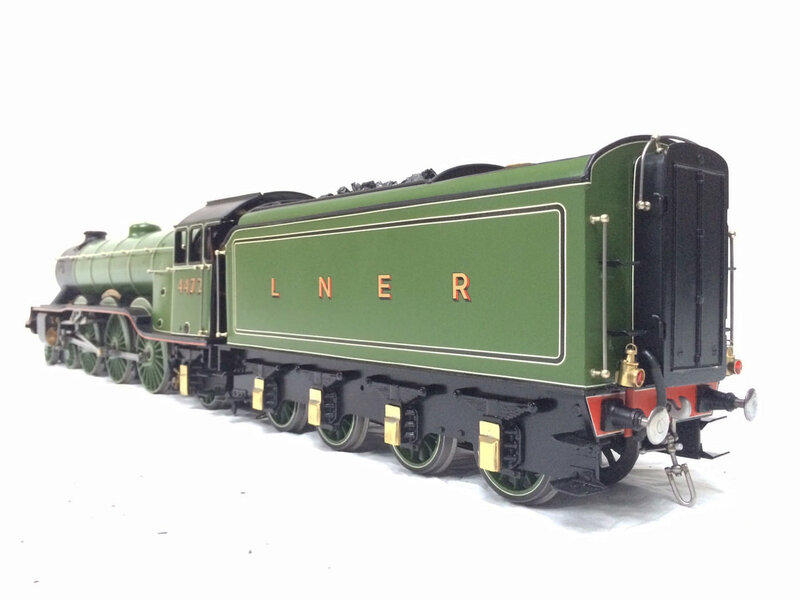 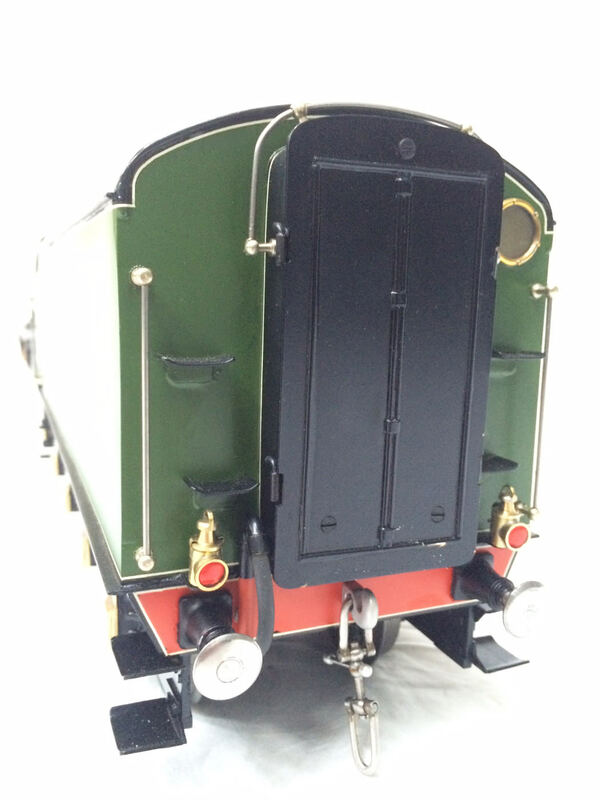 Here we have a rather lovely, brand new and unsteamed Gauge 3 (2 1/2″ Gauge) LNER Gresley A3 ‘Flying Scotsman’. 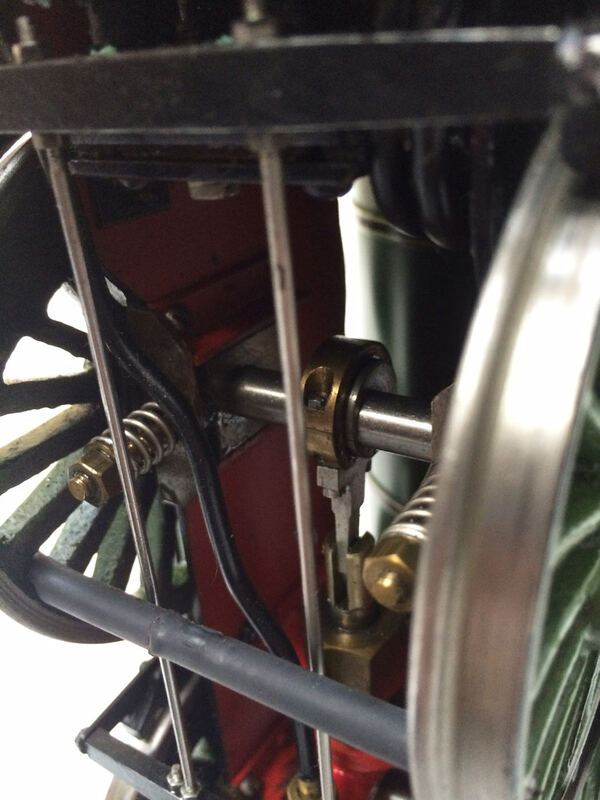 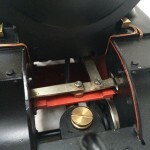 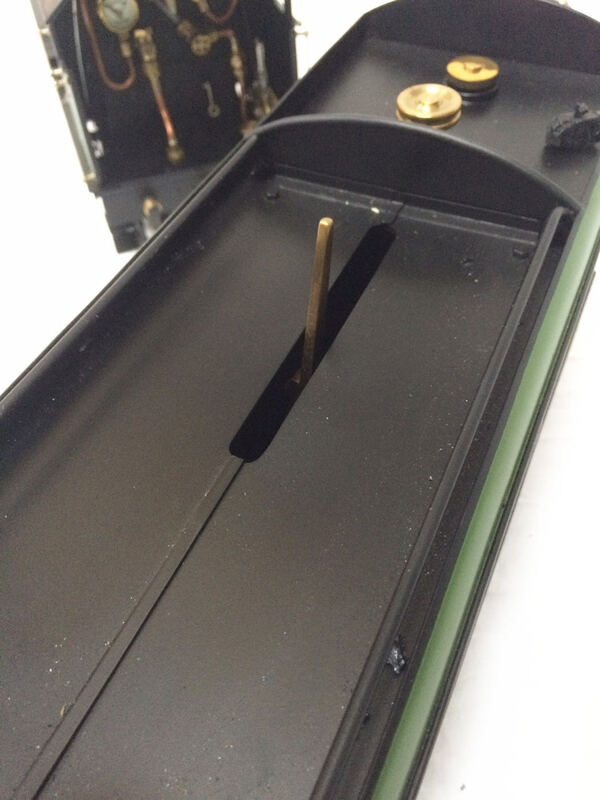 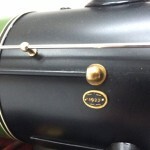 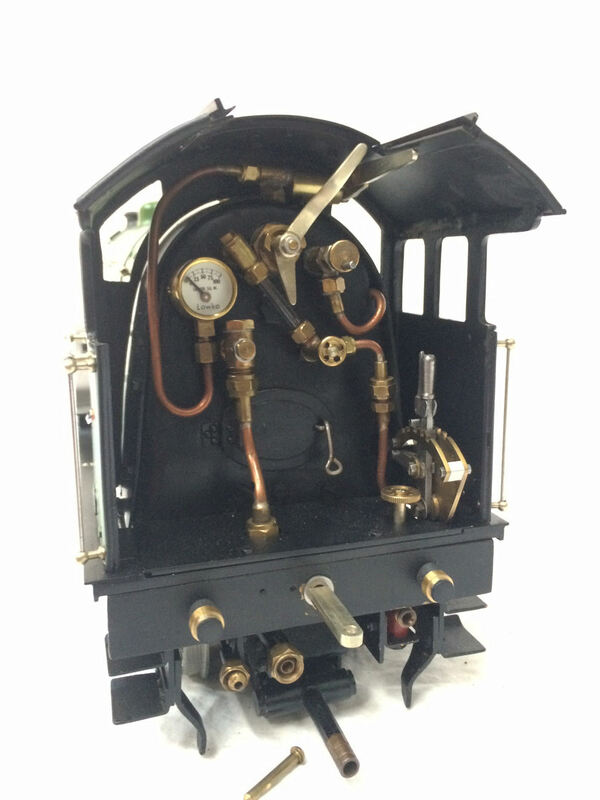 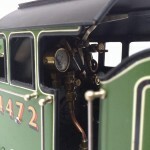 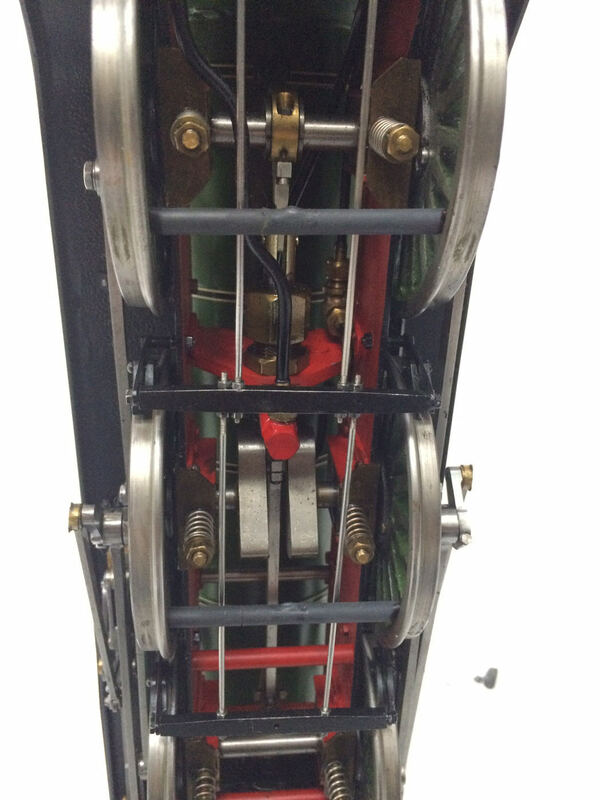 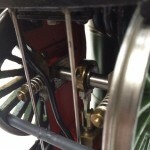 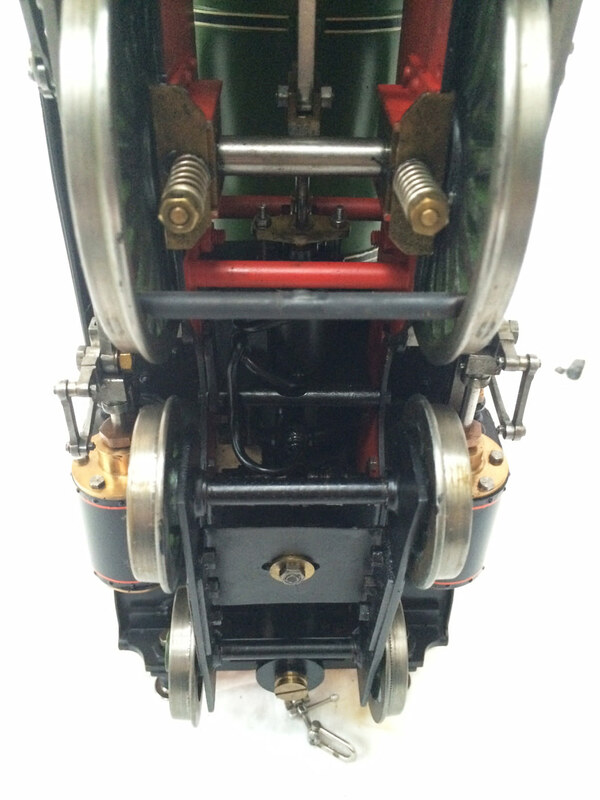 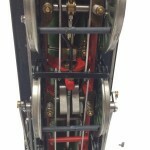 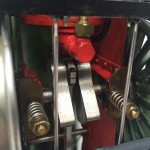 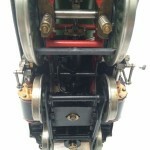 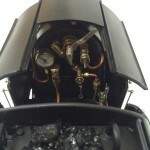 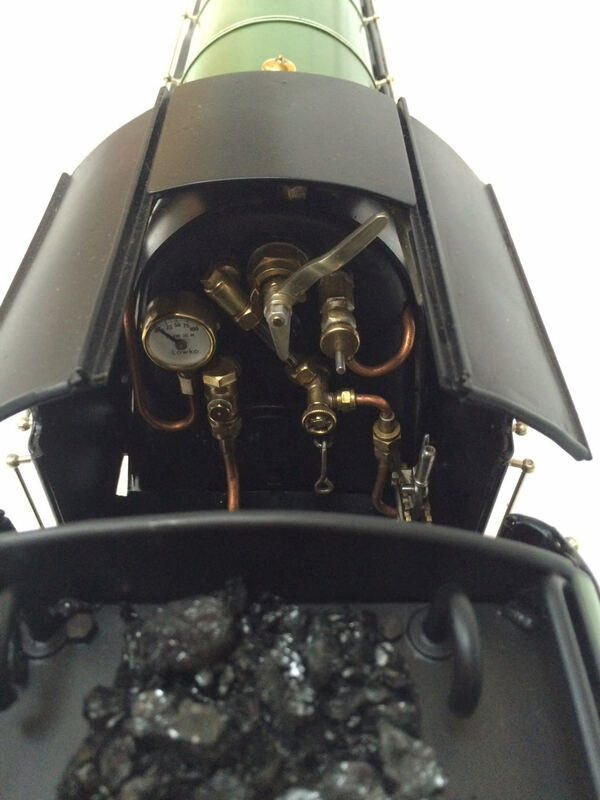 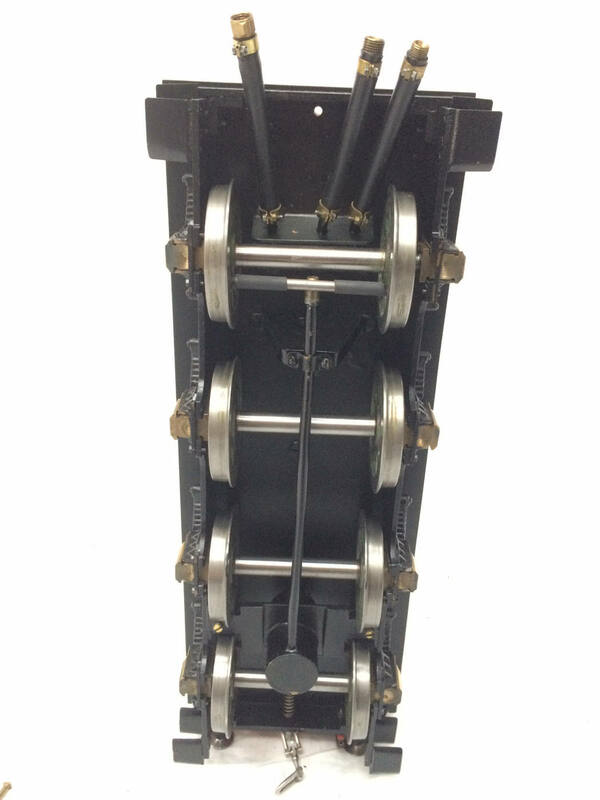 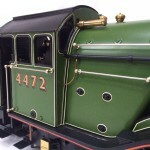 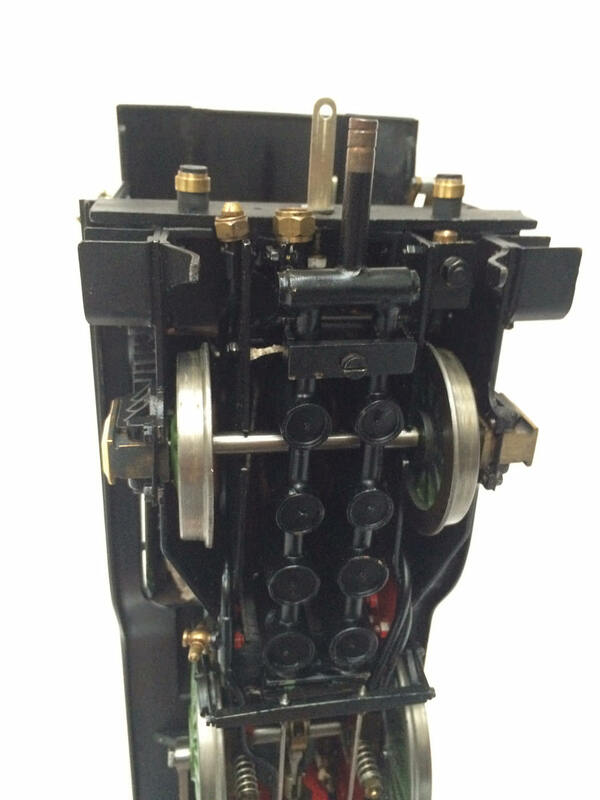 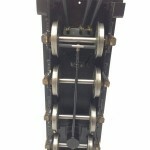 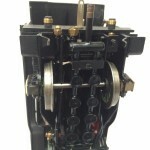 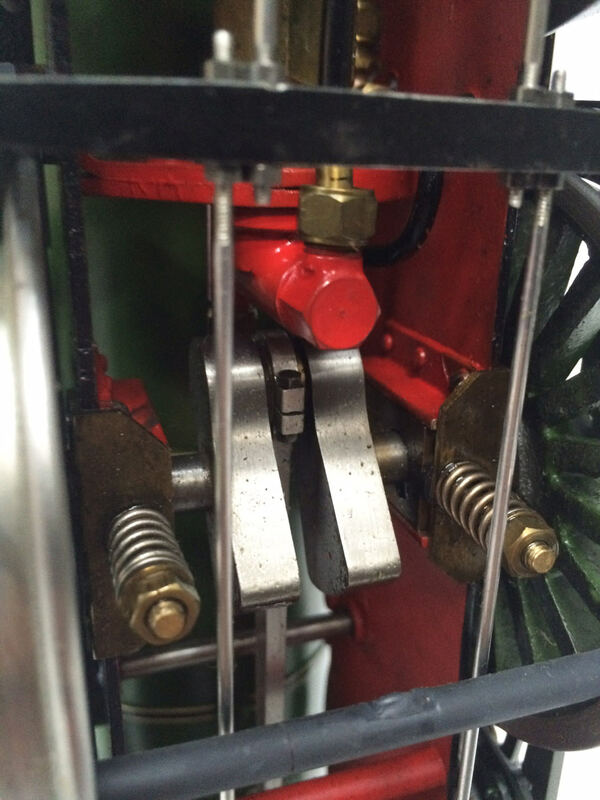 This is very well built full 3 cylinder machine and has just been used as a display model. 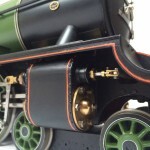 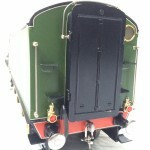 The paint job and lining is to exhibition standard. 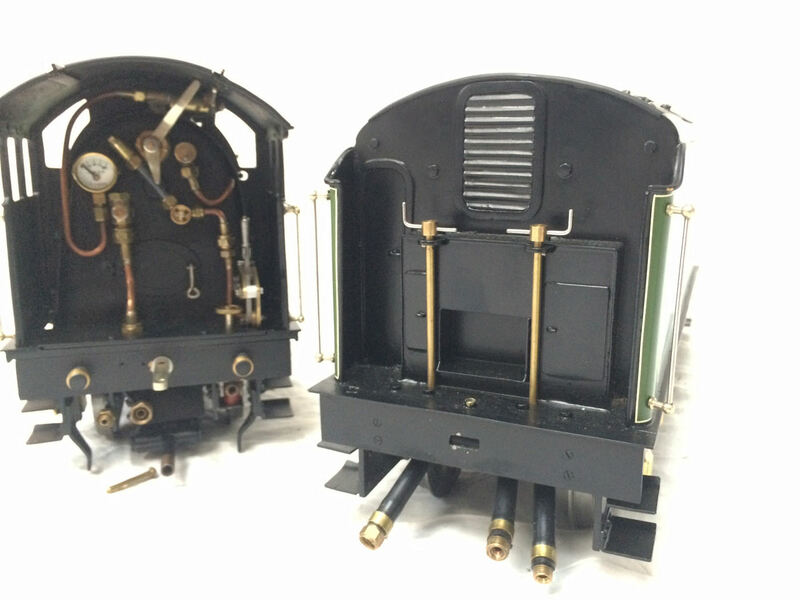 We’ve now tested both on air and in steam. 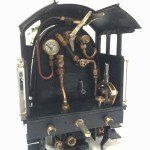 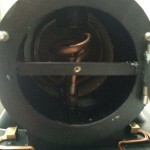 It runs absolutely beautifully, although we’ve found that the meths burners could have done with being a little hotter! 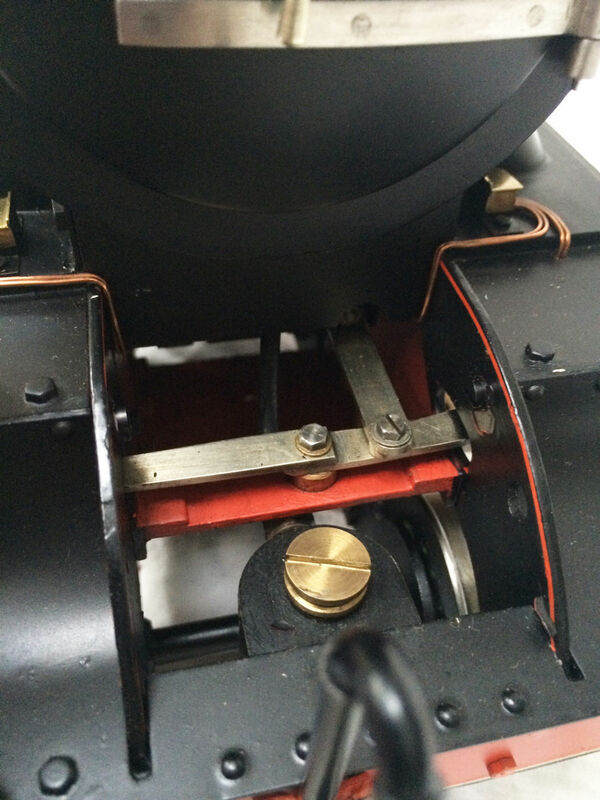 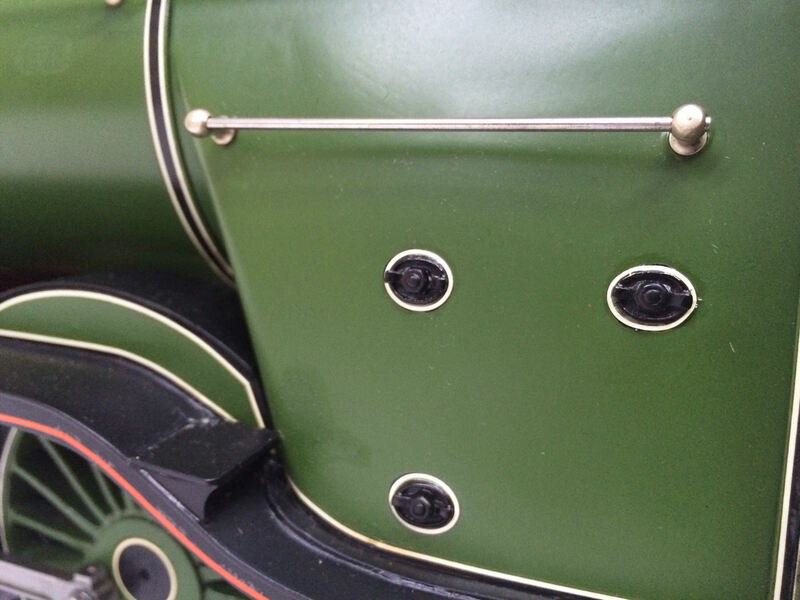 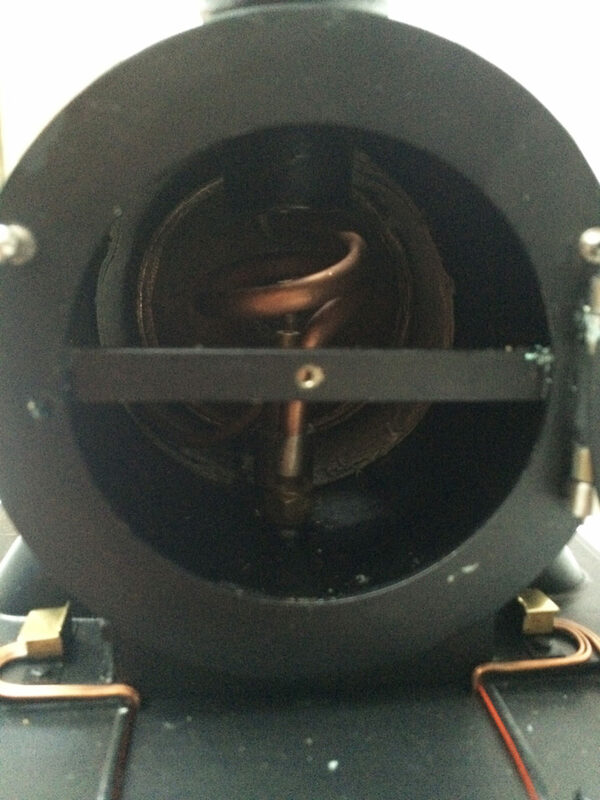 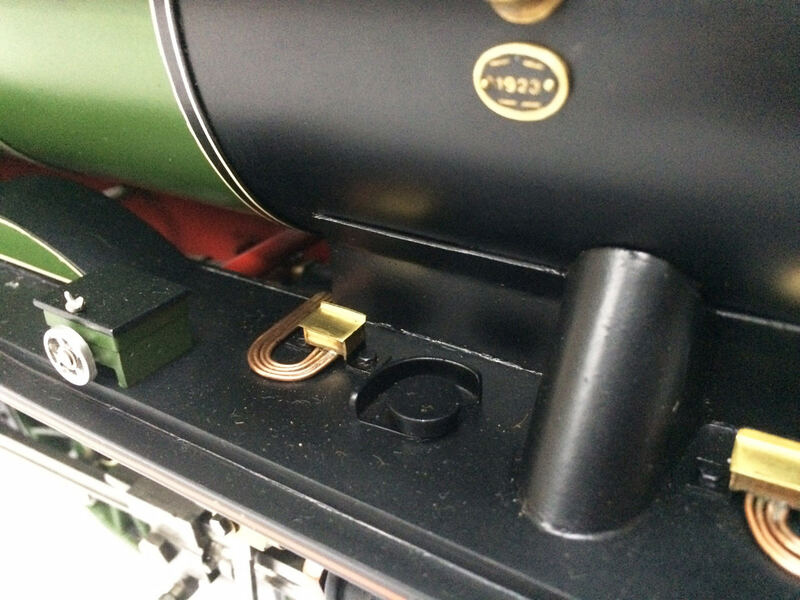 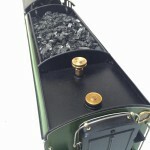 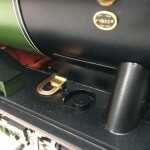 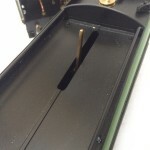 The 3 cylinders draw quite a large volume of steam, and it would definitely benefit from someone with a bit more gauge 3 experience than us to improve the heat of the burner (which is currently a 6 pot wick burner as per the drawings). 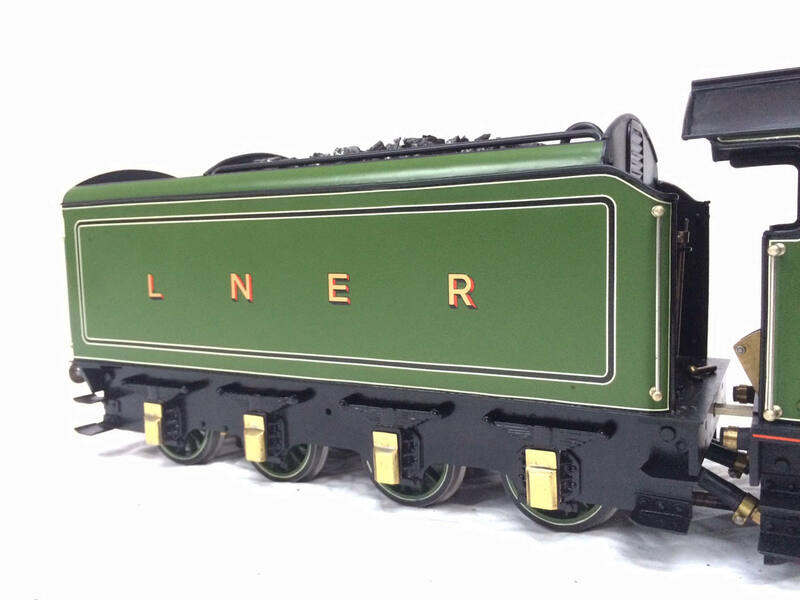 That said, it’s a superbly built locomotive, and is presented as brand new and ready to play or display!